We’re proud of the P1 Group Training Facility at our Lenexa headquarters for good reason. 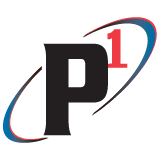 It is both unique to P1 Group and useful to our professional community. Our Training Facility is a resource that goes beyond keeping our own service technicians relevant and knowledgeable. It also provides educational opportunities to industry colleagues and partners.